What's the first thing you do when you begin any game of Pokemon? Well, aside from stumbling into Professor Oak's place a few hours late, the first step in any Pokemon video game is to find out where to get a Pikachu! Normally, it takes hours of crawling around in the grass to find the little electric-type critter. Then, you have to train him and teach him all sorts of new moves with TMs. Then, you have to find a bunch of gyms to help him earn some experience. Of course, there's an easier way. You've already been teaching your kid some cool moves and helped him gain some experience in the world, so why not just turn him into your favorite Pokemon pal? 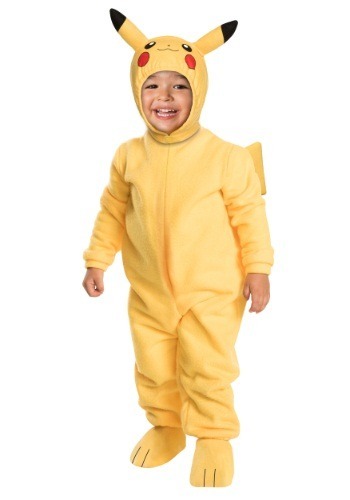 This Deluxe Pikachu Costume transforms your child into the one and only Pikachu! 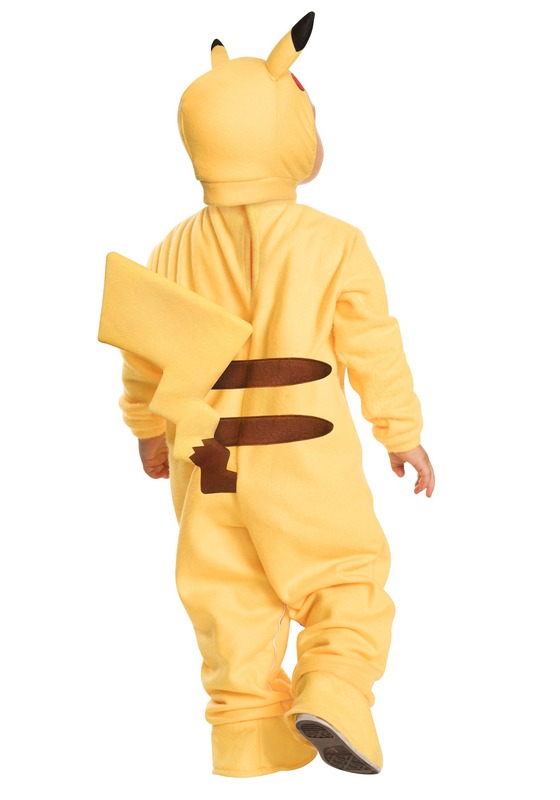 The costume jumpsuit comes with the little red cheeks and the adorable ears on the hood, so your little one will be ready to electrify the competition with his cute new look. The next time you run into a Pokemon trainer, you can proudly shout, “Pikachu, I choose you!” and your child will be ready to jump into action! Of course, you'll want to keep your kid away from any ground-type critters lurking around, since electric attacks do nothing to those guys!